This offer is valid if you buy Advanced Driver Updater before Thursday, April 25, 2019 - so don't miss out on this incredible opportunity. It includes the most comprehensive set of utilities which will keep your PC drivers up-to-date. 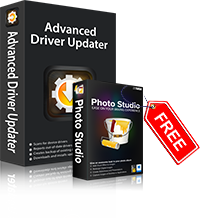 Over 10 million people have already chosen Advanced Driver Updater! Why do I need Advanced Driver Updater? A driver is essentially a software that allows your system to communicate with the hardware installed on it. Without drivers, the hardware devices on the computer cannot work properly. Missing and outdated drivers can result in poor system performance and limited hardware functionality. Update to the latest drivers by using Advanced Driver Updater. This is a one year license and will be billed annually. Remember - 2 minutes of your time could save you months of crashes and frustration by updating all outdated drivers on your PC with Advanced Driver Updater!